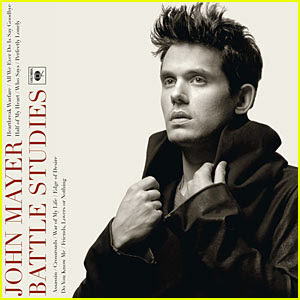 John Mayer's new album Battle Studies dropped on Tuesday. For those of you who don't know, JM (as I like to call him) is the longest running affair I've had with a musical artist. I usually really love a certain artist for a while, but grow tired or uninterested when they don't release anything new for a while...but not with JM. I NEVER get tired of his songs, and they trigger in me a mix of euphoria, appreciation and nostalgia. For years, I've been yelling at him (metaphorically) to quit dating celebrities and to focus on his music. And here is the product of all of my disciplining. I plan on seeing him in Boston on Feb. 24, and I really don't care how much I have to pay... I WILL SEE HIM IN CONCERT. John, if you are reading, please don't make me wait another 4-5 years for your next album. Anyway, enjoy this first video from the first single off of the album, "Who Says." P.S. If you don't like John Mayer...we are not friends.